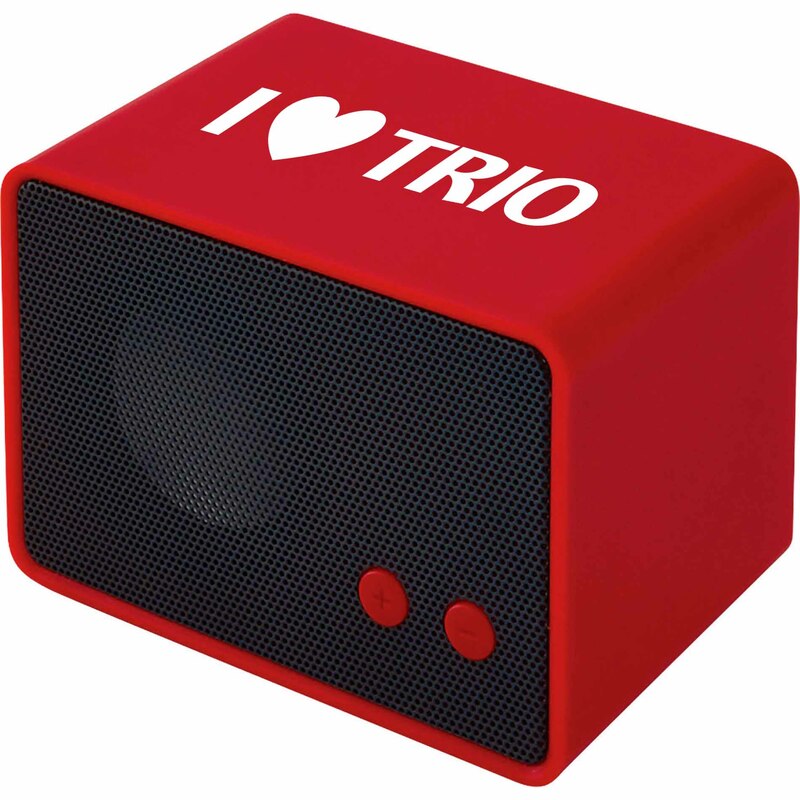 New Bluetooth Speakers for TRIO, at a lower price point. 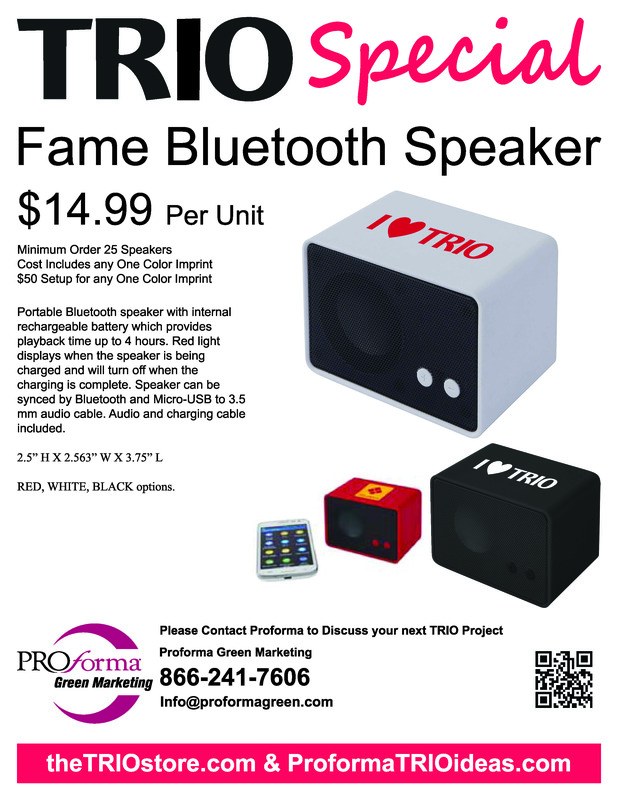 Portable Bluetooth speaker with internal rechargeable battery which provides playback time up to 4 hours. Red light displays when the speaker is being charged and will turn off when the charging is complete. Speaker can be synced by Bluetooth and Micro-USB to 3.5 mm audio cable. Audio and charging cable included.